Progressive Kinesiology offers clients a holistic approach to alleviating many common or irritating niggles including helping deal with stress and negative emotions which may affect our general health and wellbeing. A Progressive kinesiologist is trained to use techniques which may help the client attain their optimum health and well-being. These include the mind and emotions, working with setting goals and helping our brain to accept changes we wish or need to make, our energy body including the chakra system, our chemical needs such as nutrition, diet and intolerances and deficiencies, our structural body, from our skeletal system, jaw issues to the health and wellbeing of the organs of our body, including the digestive system. We also work with the meridian system and our own unique Eye Zone programme which includes supporting the ICV, the connection between our small and large intestines, which if out of sync can give us irritating reactions. We also deal with body clock issues, such as when we have jet lag, and the effects of modern life. Mobile phones, the needing to keep alert by any means, caffeine, fizzy drinks, sugar, diet drinks, and other addictive behaviours. Modern technology has a profound effect on our sleep patterns and can even affect our digestive health. We look at ways to help support this effect, while being able to cope with living in today's modern fast paced world. To begin with a case history is taken then you will normally be asked to lie fully clothed on a therapy couch while some simple muscle tests are carried out starting with kinesiology pre-checks. These are to get the best out of your kinesiology session and ensure you are hydrated. Each session is a tailor-made programme created for each individual client. A Progressive kinesiologist also uses various test kits and kinesiology techniques to support your session. Whatever your issues you can trust that a Progressive kinesiologist has completed comprehensive training and is able to offer you practical, helpful and realistic suggestions aimed at improving your general fitness, well-being and health. Kinesiology helps with many areas of your life. It may help you to find your direction in life, feel happier, in control, help release pent up emotions that affect your health, and can help you find your life balance. 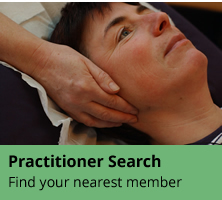 Progressive Kinesiology uses a range of therapeutic techniques. These may be able to restore balance to your system and create and maintain health and well-being. Some people consider kinesiology to be one of the best methods to use, to uncover and help the underlying causes of health problems that are difficult to find by any other means. Muscle monitoring is the principal tool of kinesiology. A limb is placed so that one of its muscles is in a contracted position. The kinesiologist applies pressure to that muscle and the client is asked to match the pressure. This is not a test of the strength of the muscle, but of how the muscle responds to the stimulus of the added pressure. The muscle will either remain in contraction or will unlock. At no time should the client experience pain or discomfort with the testing. How the muscle responds give the kinesiologist feedback and this is used to determine what the priority stresses are and the best way to address them. 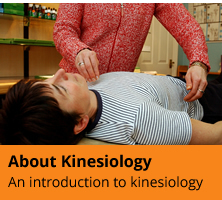 Everyone can benefit from receiving a kinesiology balance.